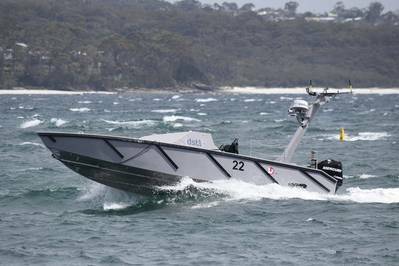 L3 ASV announced the completion of a series of demonstrations at the Australian Defense Showcase, Autonomous Warrior 18. In support of the Defense Science and Technology Laboratory (Dstl), L3 ASV operated a 9-m vessel outfitted with autonomous navigation capability for reconnaissance, interdiction and patrol tasks. “There were instances where the weather dictated that manned vessels had to return to harbor – the autonomous vessel, by its nature, was not subject to these concerns and was able to operate normally. This is where the real value in autonomy lies,” he continued.